The ultimate ATV mud tire is here. The Mudzilla features an aggressive look with pyramid-shaped tread blocks and long biting lugs. Built to ride in and through mud, the Mudzilla applies equally biting traction in the sloppiest conditions. 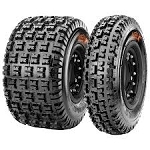 - Maxxis Atv tires are sold individually. 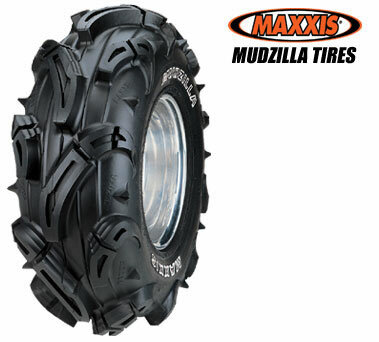 - Maxxis Mudzilla is the King of monster Atv tires. - Mudzilla tires feature raised outline white lettering. - Massive tread bars give maximum traction in mud and a smooth ride on hardpack surfaces. 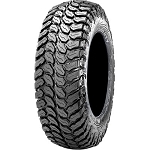 - Specifically designed tread pattern constructed to flex more in mud accumulating areas. - The Mudzilla tire offers rim guard for maximum wheel protection. - 6 ply atv tires. - Extra deep aggressive treat pattern, and looks incredible! The Best mud tire on the planet. These tires are incredibly aggressive mud and snow tires. The lugs are HUGE! The quality is well worth the money too. The white letters look great. The best mud tire made! A: $102 is the starting price for these tires. That is the smallest cheapest size. As you go up to the larger sizes there is a surcharge because they cost more. For a 28-10-12 you would add $44 to the $102. So they cost $146 per tire.